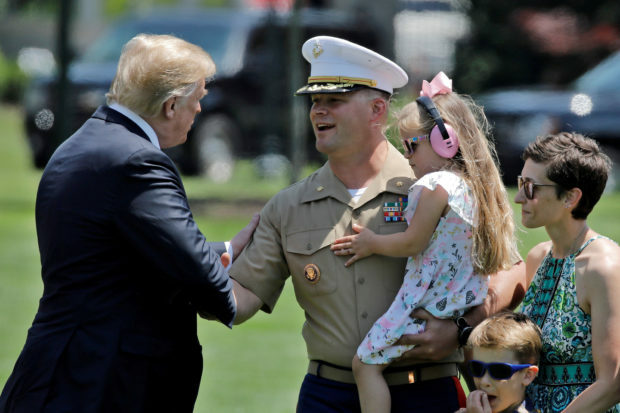 President Donald Trump posed with the family of one of his departing U.S. Marine helicopter pilots after landing at the White House Friday. The pilot, Major Adam Horne, posed with his parents, wife, and children before the helicopter with Trump. The photo came just hours after Trump delivered the commencement address before the U.S. 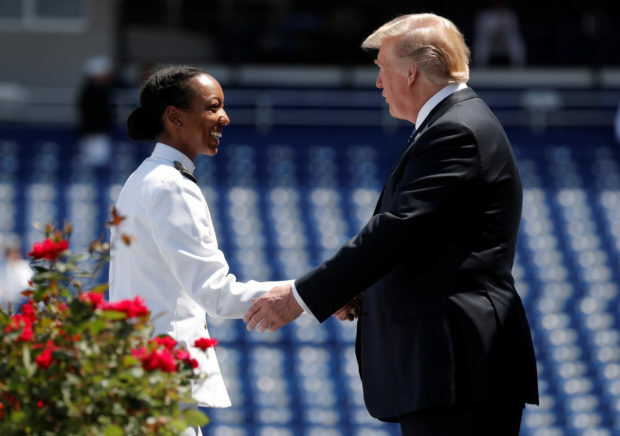 Naval Academy and shook hands with the nearly 1,110 graduates. “Major Horne is a 2005 graduate of the United States Naval Academy. Today marks his last flight after five years of service with HMX-1,” White House deputy press secretary Lindsay Walters said in a Friday statement.